Now that we’ve discussed how to write an introduction, it is time to turn to writing a body paragraph. What follows is a layout, a map if you will, of what to do in your body paragraphs. 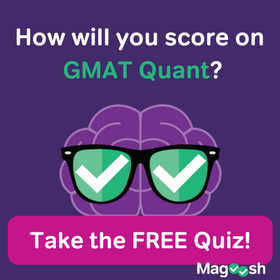 If you include each of these pieces in two to three body paragraphs, you’ll be on track for a strong score on the writing section of the GMAT. The first thing you will need to do in your paragraph is identify what part of the argument you intend to analyze. The best way to do this is by simply summarizing the premise in the argument. You can state that it is flawed at this point, but it is not necessary. You’ll have plenty of time to do that, and the reader already knows what will happen from what you told them in the introduction. Paraphrase, summarize, and use synonyms to present the premise—don’t copy word for word—and this is a great way to lay the groundwork for your analysis. Now that you have summarized the premise and presented it to the reader, time to name the flaw and describe it. We are not always able to name the flaw in the argument, and are not required to know the name of logical fallacies, but if you can, do it. This is a great way to signal to the reader that you know what is going on in arguments, and it will focus your mind on how to expose the flaw. Argument flaws are flawed for different reasons and each requires a certain approach when analyzing and attacking. Here is a fun, engaging resource that goes through some common, everyday logical flallacies, which you are bound to see some of on the test. If you can’t name the flaw, then you can at least talk about what the flaw is. You can begin to describe what makes it a flaw, which will lead nicely into your next point in the paragraph. The flaw is exposed, now time to show the reader why it is a flaw. To do this, you need to talk about it by way of example. This can involve hypothetical, yet real world, examples drawn from the argument, or it can involve real world examples that you are familiar with. We can’t expect our reader to understand the ramifications of the flaw, so this is the time to really spell it out for the reader. Give them something tangible that reveals what the argument is missing or what might happen as a result of the flawed premise. One note, this will be the bulkiest part of the paragraph, containing the most sentences. If done well, this discussion will flow nicely from the specific premise and flaw into a broader discussion of the argument and its conclusion. This is a common step skipped in student essays. We must return to the larger picture. Students assume that everything will make sense once the flaw is exposed, but this is far too brash. We can’t just expect our reader to “get it.” We need to speak plainly and directly about how the flaw weakens the argument, and more specifically, the recommendation, plan, or conclusion of the argument. Not all flaws weaken arguments in the same way so be specific about what aspect of the conclusion is questionable. Now that you’ve taken the time to analyze the argument, break down a flaw, and explain the result of that flaw to the conclusion, time to build it back up. Approach the essay as a concerned and interested party, responding to the argument with sympathy. Don’t just be destructive. Give suggestions for improvement. And if you don’t like the conclusion, peer into the heart of what it is trying to accomplish and recommend a way to get there. Talk only gets us so far. Let’s look at an example prompt and write a sample body paragraph that contains all these points. 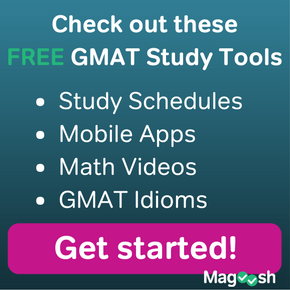 All prompts that appear on the GMAT are made available to us. That’s where you should do your practice. What follows is a sample paragraph. I have numbered the sentences so that they correspond to the headings above so that you know the purpose of each sentence. (I) The major tenet of the editorial from the West Cambia newspaper is the comparison of West Cambria’s volunteer ambulance service and East Cambria’s commercial ambulance service. (II) But the argument fails to account for differences between these two locales—a logical fallacy of composition and division, and in common parlance, attempting to compare apples and oranges. (III) In no way does the editorial establish how, and if, West and East Cambria are the same. (III) Since the editorial points to response times, it should establish that these regions are not distinct, but very similar. (III) For example, if West Cambia is in the city center and East Cambria is in the suburbs, this would explain the difference in response times, and thus a commercial ambulance service would be no faster in their responses to an accident. (III) A city center has more traffic, more congestion, and more accidents thereby making anyone’s response time higher. (IV) Since the editorial fails to clarify the similarities and differences of East and West Cambria, there is no way to know if this will benefit victims of accidents. (V) If we were to learn that West and East Cambria are similar, have similar traffic congestion, share the same peak hours of usage, and are built on a similar street grid, then perhaps bringing in a commercial ambulance would be an improvement in West Cambria. As you can see from the sample paragraph, there is a lot to accomplish in a short amount of time. This is one reason I encourage students to keep their introductions and conclusions brief. 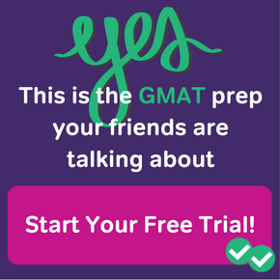 With practice, armed with this format and structure, you will find that writing these paragraphs will be natural and quick. Continue to practice under time constraints and you’ll increase incrementally until you have no problem jotting down a quick essay analyzing any argument. Hello Kevin , Great article. Link in Name the flaw is not working . Could you please check ?